Here we go again! 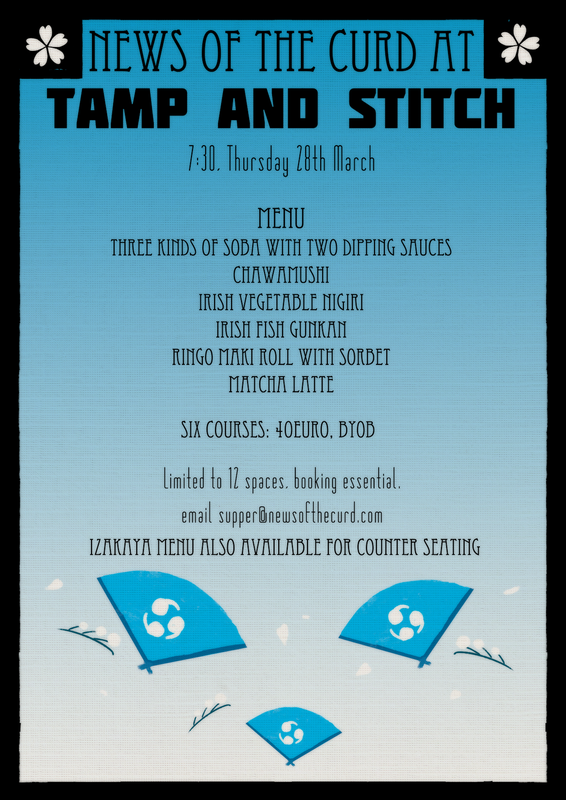 An Izakaya at Tamp & Stitch. Here's the plan! We have 1 table with 12 seats! On this table there is a set menu with 6 courses and a few other things! Upon entry you get a wonderful Japanese Beer and some bar snacks! There's also 2 miso soups and few other bits with the supper. Also! There is a table for 5 and a bar that sit 4! From 7pm till 10pm you can book a seat for an hour! You'll be able to grab beers and some tapas style food from our menu! Lots of interest in this night so get in early!